When it was announced that Cristiano Ronaldo, Luka Modric and Mohamed Salah were the three nominees for this year's Best FIFA Men's Player award, there was outrage that such an obvious and prominent name should be missing from the list. That's right - Antoine Griezmann had the best year of his career so far, and possibly the best he ever will have. Major trophies, which had previously proved elusive for the Frenchman, arrived like London buses: first the Europa League, then the World Cup and UEFA Super Cup. Griezmann shouldn't just be a nominee at this evening's awards ceremony - he should be among the favourites to win. Here are five reasons why. 1. He Won the World Cup! 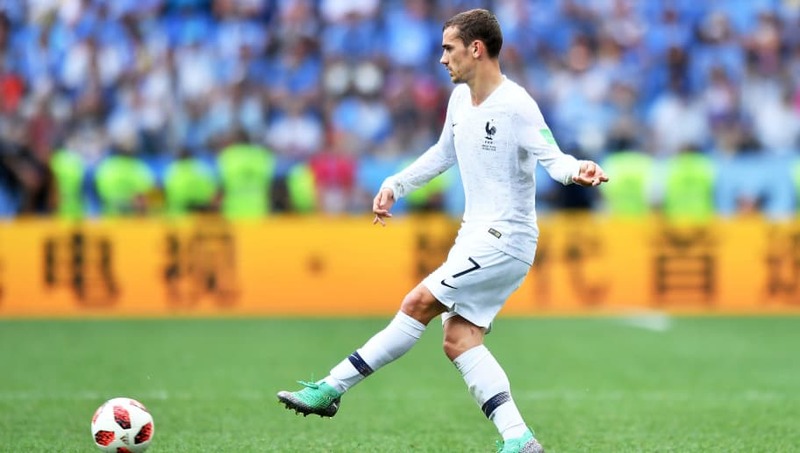 You would have thought that winning the World Cup would be a pretty good way to get yourself in contention for individual prizes, and there were no shortage of brilliant French players who could have been nominated for the Best award. 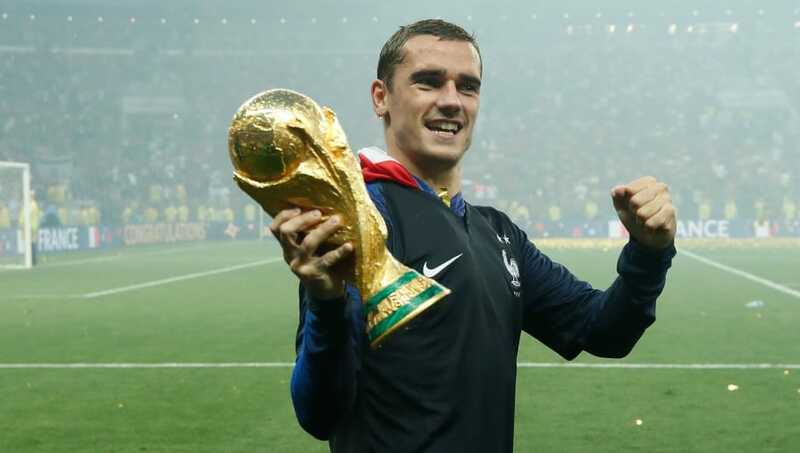 Champions League winner Raphael Varane and young star Kylian Mbappe both have pretty good cases, but it was Griezmann who really rose to the top when it mattered most. After a slow start to the tournament, he came alive in the latter stages, scoring or assisting six goals in France's four knockout games. His cross for Samuel Umtiti's winner against Belgium springs to mind, as does his ice-cool penalty in the final against Croatia. 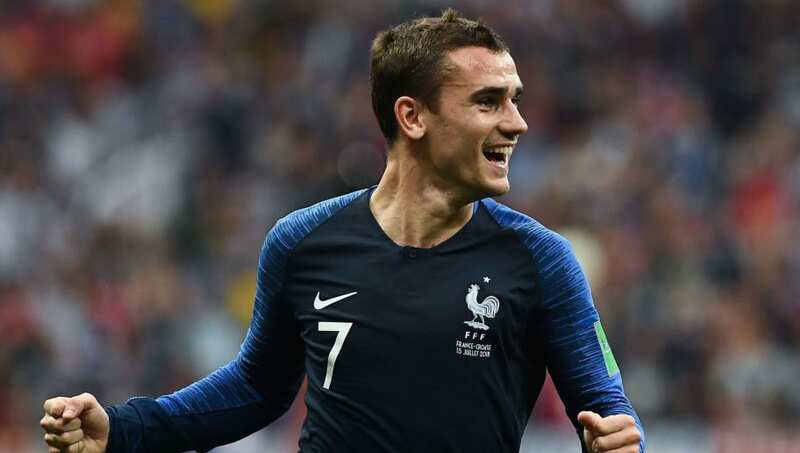 While Salah was out in the group stages and Ronaldo was vanquished in the last 16, Griezmann led his country to glory. Surely that's got to be worth something. 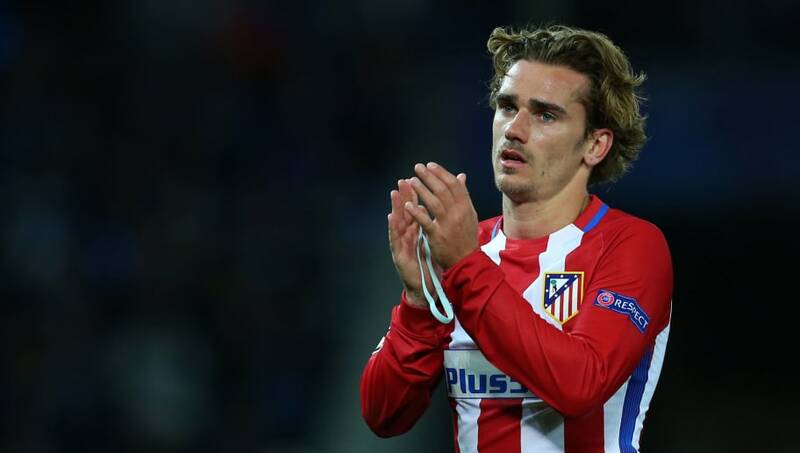 Dropping out of the Champions League and into the Europa League last season was a blow for Atletico Madrid, but Griezmann was determined to make the most of a bad situation. He scored four goals to help Atleti reach the final against Marseille, where the Frenchman brought his A game. He capitalised on a defensive lapse to break the deadlock with a clinical finish, before doubling Atletico's lead with a deft chip over the goalkeeper just after half time. It was the first time Griezmann had ever scored in a final and just two months later he did it again with his penalty against Croatia. Ronaldo was kept quiet by Andy Robertson and co. in the Champions League final, while Modric failed to bring his best against Griezmann's France in Moscow. The best players produce on the big occasions and Griezmann certainly did that this year. Atletico Madrid's strength is built on their defence, which conceded fewer goals than any other in La Liga last season. However, this emphasis on defence means that they also score far fewer goals than their closest rivals. Champions Barcelona scored 41 more goals than 2nd place Atletico in the 2017/18 season. The fact that Griezmann is still so prolific in such a team shows what a great goalscorer he is. In fact, although Lionel Messi scored 15 more goals than Griezmann in La Liga last season, he scored 34% of Barcelona's goals. Griezmann scored 33% of Atletico's. In terms of their relative contributions, the two players are quite similar. Ronaldo and Salah score so many goals because they play for flowing, attacking teams who throw caution to the wind and create countless chances per match. Griezmann must wait for his opportunities and take them when they come. 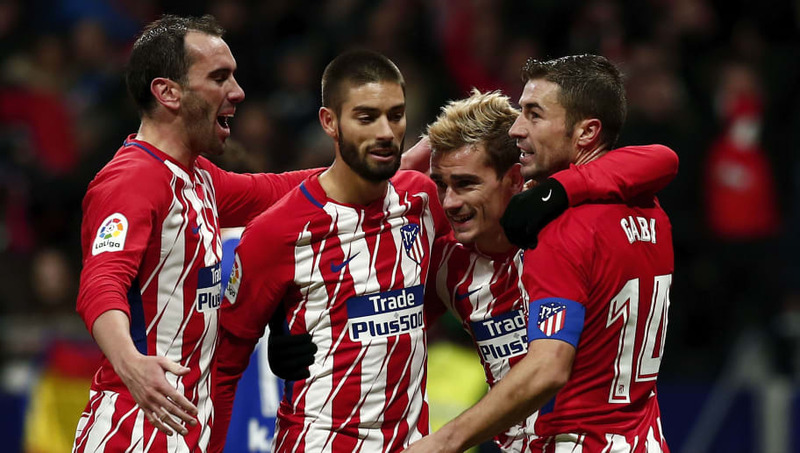 There may a perception of Griezmann being a goal-hungry predator, but he wouldn't be playing for Atletico Madrid if he didn't recognise the power of teamwork. In addition to his 29 goals goals last season, he also provided 15 assists for his teammates. It was a similar story for France, with assists in the quarters, semis and final of the World Cup. Salah was the only one of the nominees to notch more assists than Griezmann last season, with Ronaldo and Modric managing just eight assists each despite playing for Europe's best team - a team that scored over 40 goals more than Atletico. When it comes to individual awards, far too much stock is placed on who scores the most goals. Griezmann scores his fair share of course, but it's what he brings to the team that makes him stand out above the rest. Obviously this isn't a suggestion that Griezmann should win the award for not joining Barcelona. It's more about what it represents. By staying at Atletico, Griezmann has made a statement that the world's best players don't need to play for the world's richest clubs. Perhaps this is naive of him - he is 27 now and could easily have won a few easy trophies at the Nou Camp. But no trophy would ever mean as much to Barca as it would to Atletico. 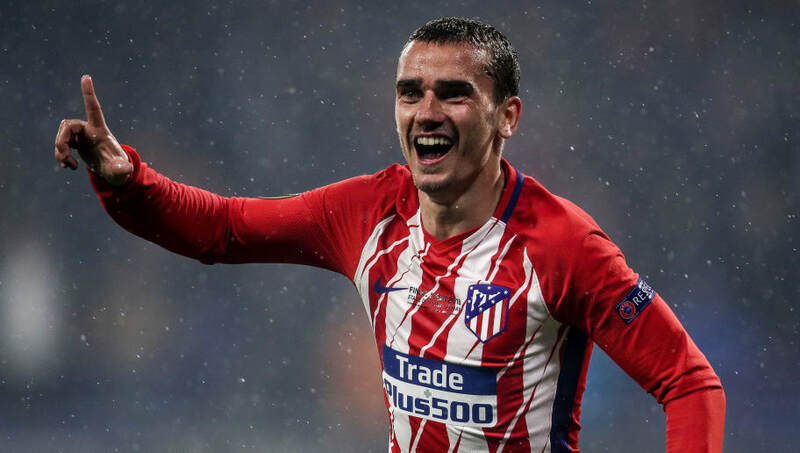 Los Rojiblancos are well-fancied to go far in Europe this season and Griezmann would be a hero forever if he led them to Champions League glory for the first time. If Griezmann can do that and be crowned as a club legend, it's doubtful he'll lose sleep over the awards ceremonies he missed out on.